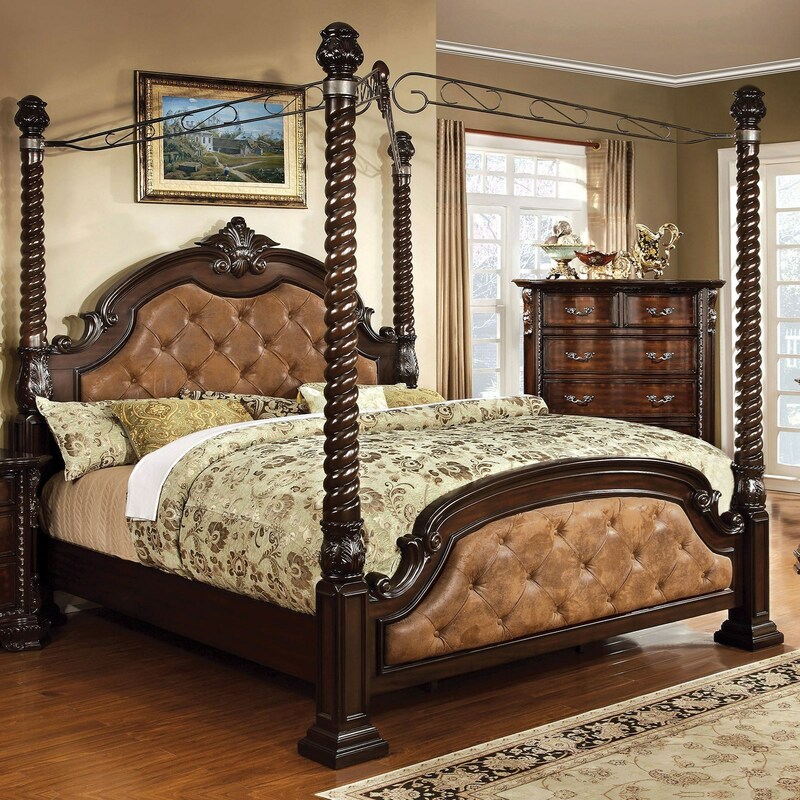 The Monte Vista I Traditional King Canopy Bed with Button Tufted Head and Footboard by Furniture of America at Furniture Superstore - NM in the Albuquerque, Los Ranchos De Albuquerque, Rio Rancho, Santa Fe, Corrales, NM area. Product availability may vary. Contact us for the most current availability on this product. CM7296EK-CP-4 Component 4 1 0" 0" 0"